A National Arboretum introduction with white flowers produced all summer. Distinctive semi-weeping habit, good fall color, long-blooming in summer and good disease resistant. 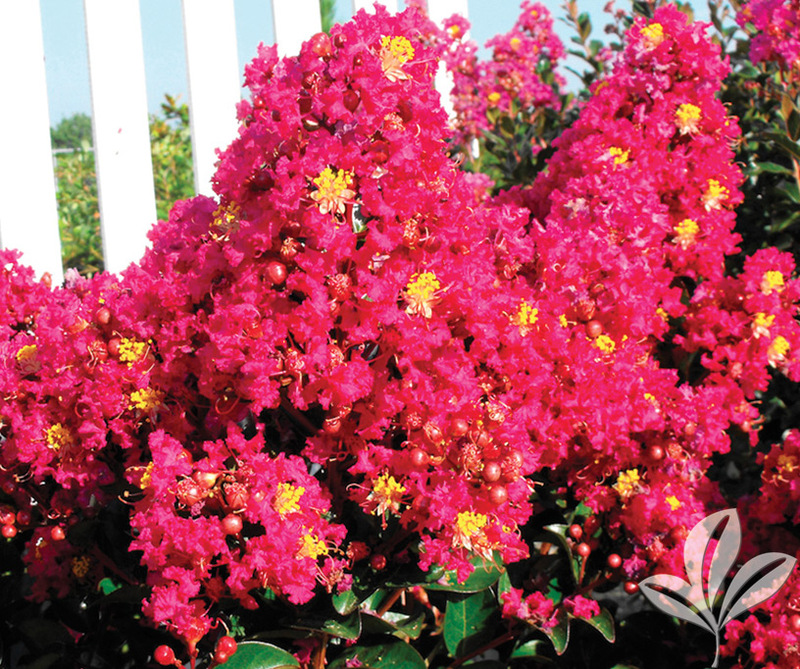 New National Arboretum selection noted for its disease resistance and dark red flowers. The leaves are deep green tinged with maroon. Tree-like habit and attractive, peeling bark. Light lavender-pink flowers all summer. Has bronze leaves when young, maturing to a dark green color, then turn a orange red color in the fall. Good resistance to leaf spot and powdery mildew. A miniature, weeping form with deep red flowers all summer. 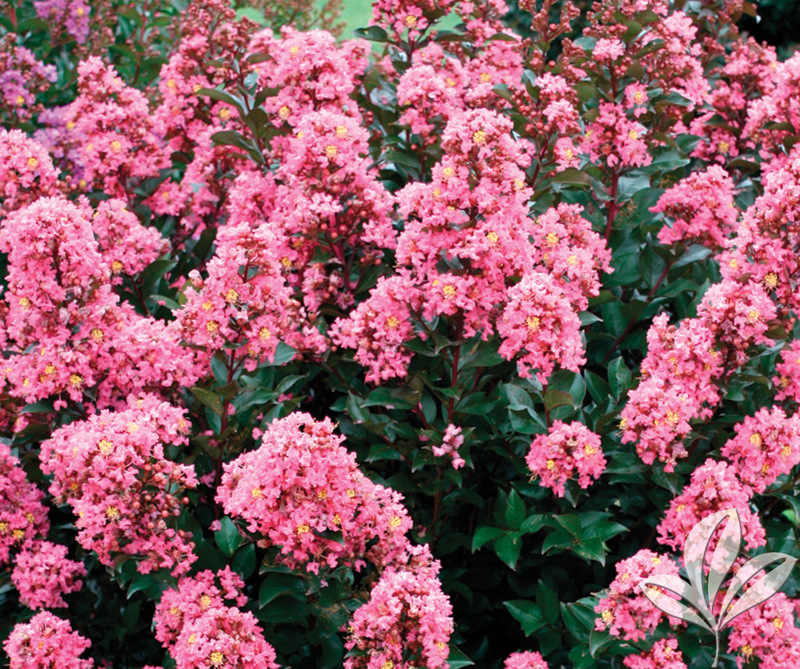 Makes an attractive accent or color border plant. 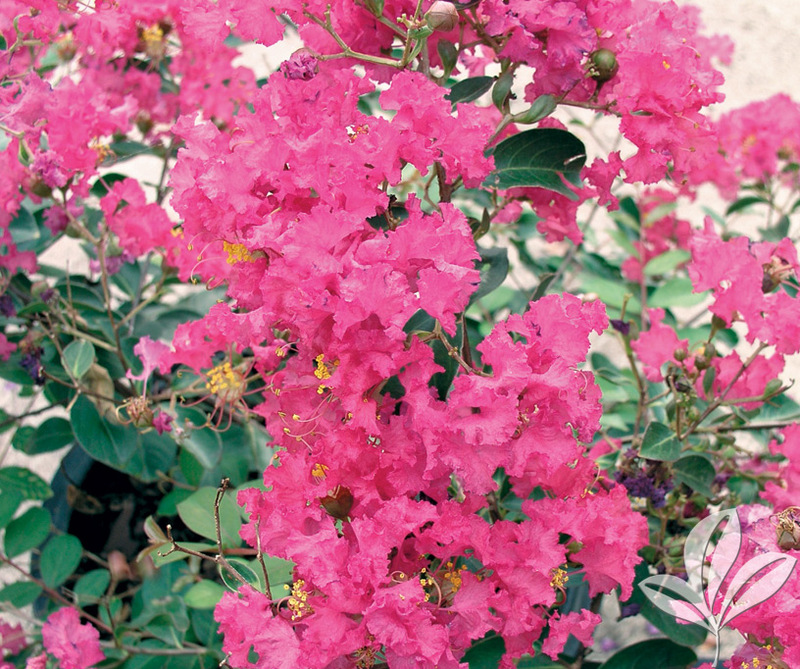 Dwarf shrub with vibrant, fuchsia-pink flowers produced all summer. New foliage growth is burgundy-red. A great border or specimen plant. 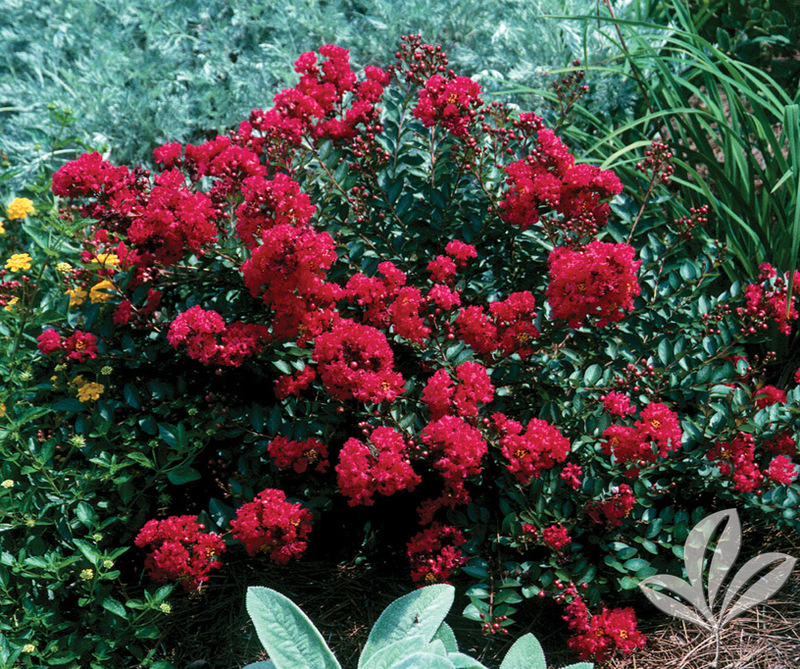 Upright grower with burgundy flowers are held against the glossy, dark green foliage. It features heavy resistance to powdery mildew. 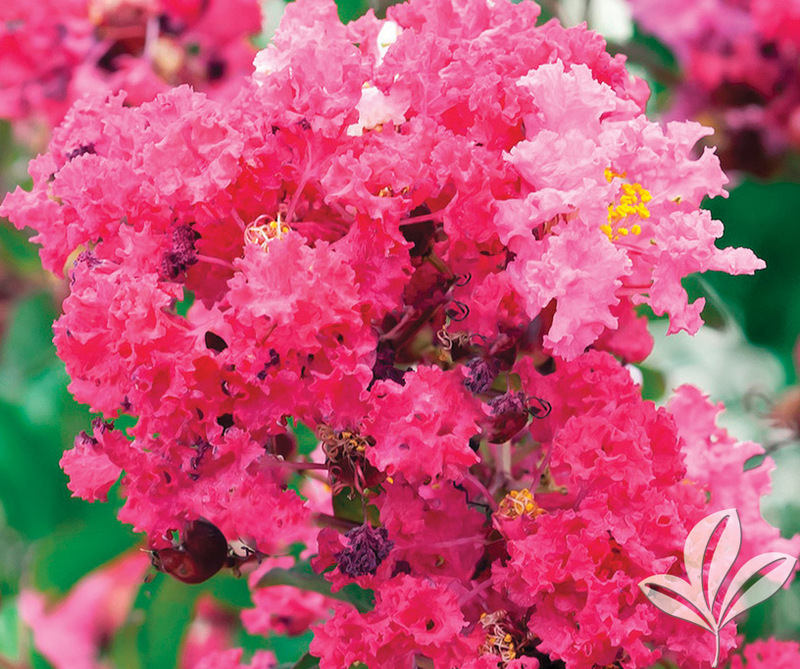 Great as a focal point or grown in groupings. 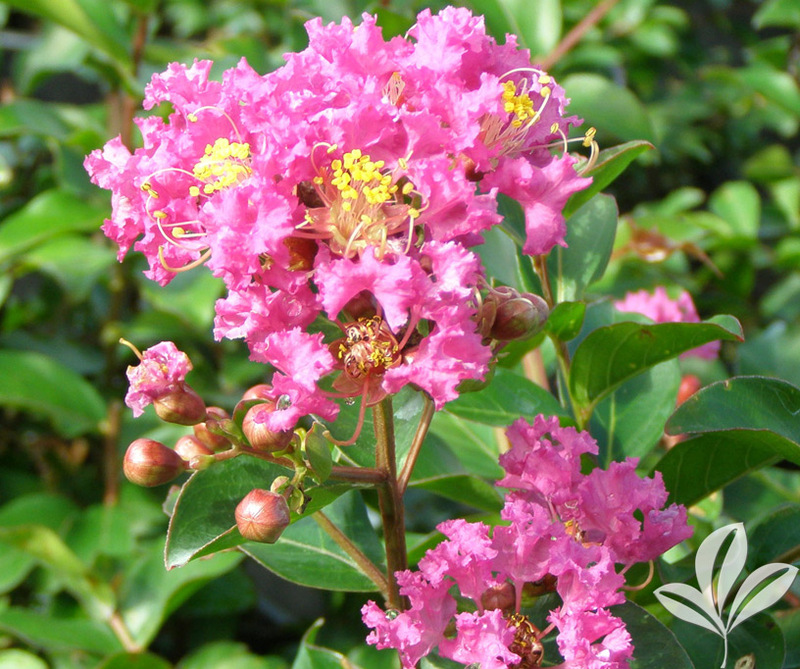 Displays large, long lasting clusters of dark purple crepe-like flowers in summer. New spring foliage has a bronze tint before maturing to green. Good fall foliage color. Mildew resistant. 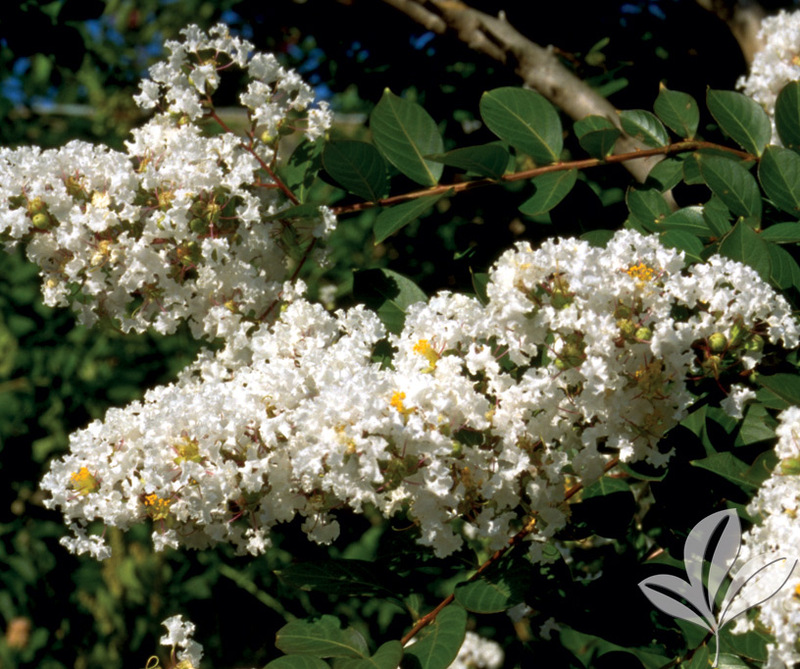 Upright shrub or small tree with panicles of dark wine-red flowers blooming from early summer to fall. The dark green foliage turns red-orange in fall. 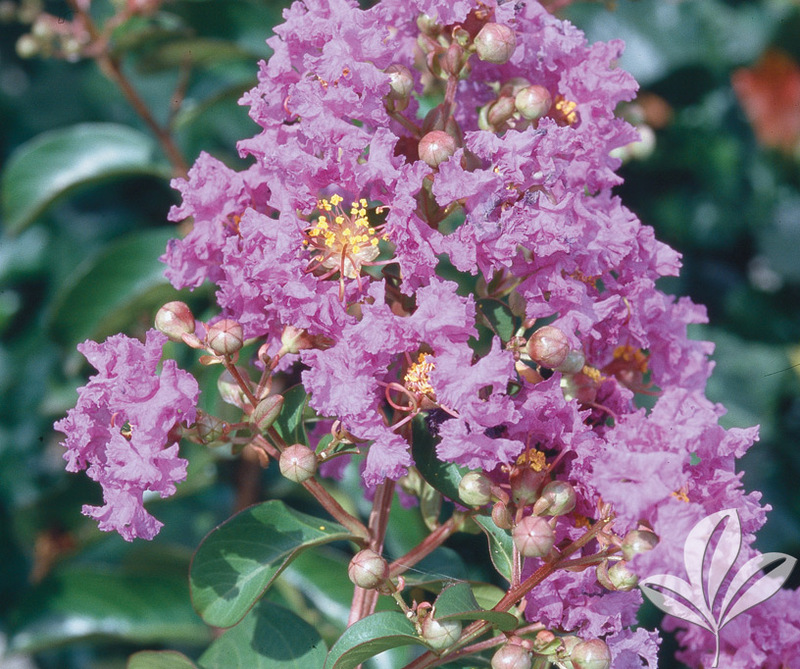 Showy flowering shrub with a compact habit and disease resistant foliage. In spring, the leaves emerge bonze and mature to dark green. 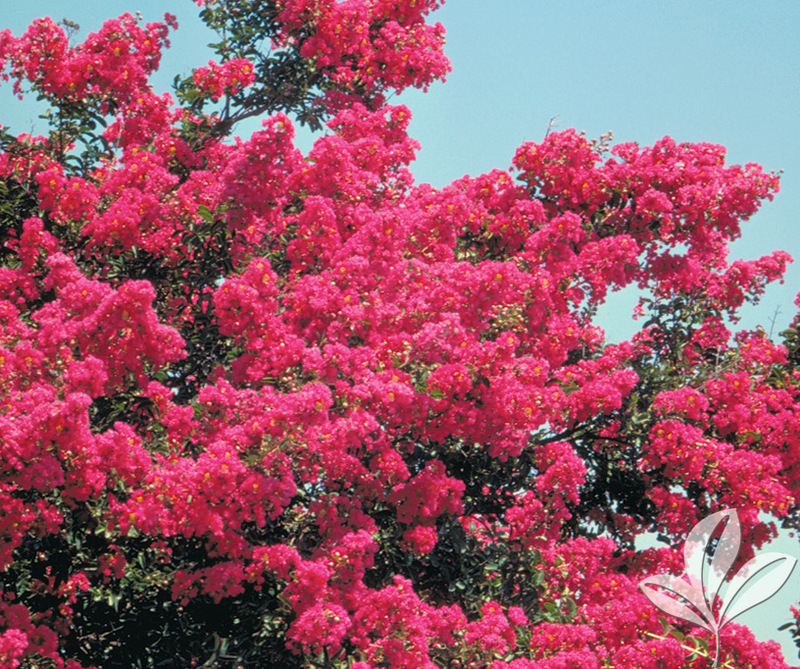 Loads of brilliant red flowers bloom all summer. In fall, the leaves turn reddish-purple. 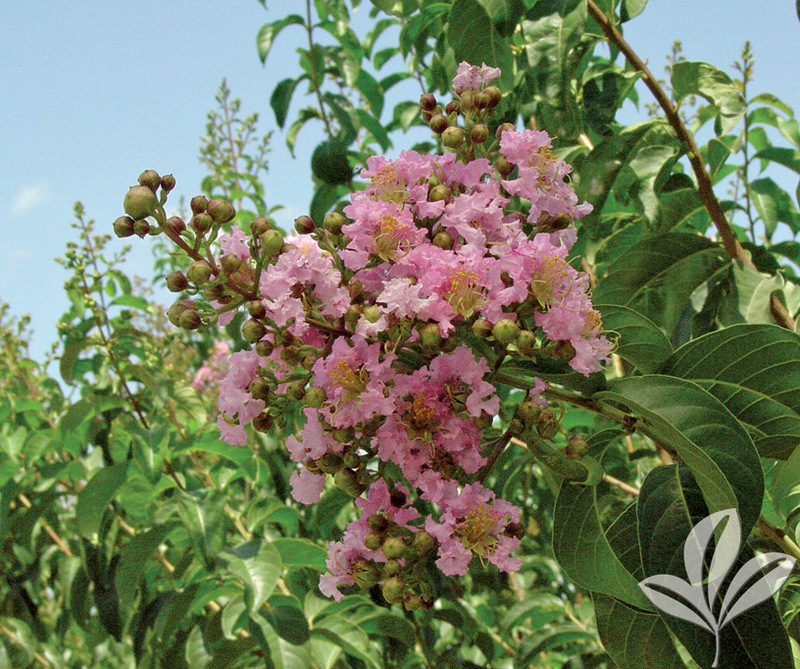 Forms a beautiful rounded, dense shrub loaded with salmon-pink flowers beginning in early summer and continuing to fall. 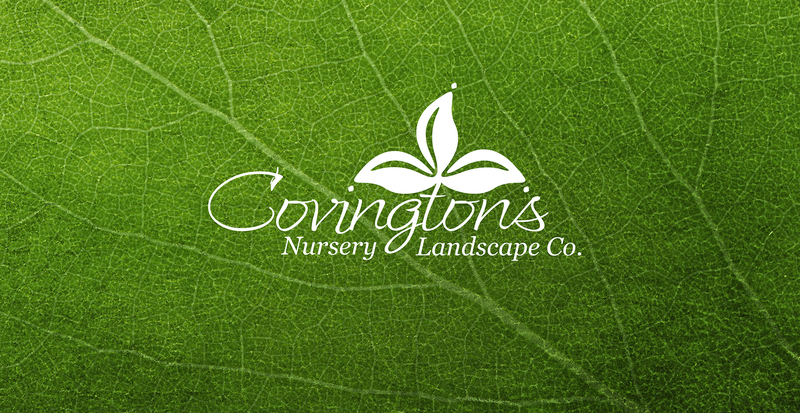 New foliage is a glossy, reddish color and then turns dark green. Good disease resistance.